Trap builds have been very powerful for long time now. They have decent clear speed, while also excelling at boss killing. Lightning Trap shoots lightning projectiles in a nova when triggered. This trap has great base damage and critical chance, it also has increased critical strike chance against Shocked enemies. The only problem with the skill is that you will have to invest into some Pierce to smooth out the clearing of the build; this can be as simple as picking up Piercing Shot node on the passive tree. Lightning Trap is the clearing tool of this build. Lightning Spire Trap is your big cooldown trap, a very powerful trap that destroys tougher foes. It also gains increased critical chance against Shocked enemies, the same way Lightning Trap does. This is why using Vaal Lightning Trap against bosses is very important, since it leaves Shocked ground, which allows you to Shock even endgame bosses. Overall, the Lightning Trapper Saboteur is a type of build that specializes in throwing very hard-hitting lightning-based traps in order to clear maps and kill strong bosses. The build can also achieve a respectable life pool, while also relying on defensive mechanics like Mind over Matter, Acrobatics, and Phase Acrobatics for the additional dodge chance. The Lightning Trapper does not require any initial investment; it can even be played as a league-starter. As most other spell-based characters, damage mainly scales from gem levels, unlike attack builds where it is more gear-dependent. Early on, just the gem levels will carry your damage needs, as long as you run on a 4-Link at least. You should focus on getting gear pieces with life and elemental resistances. For endgame, well rolled rare items will be mostly what you want to look for. There are no “big-ticket” items that the build needs in order to work. Offensively, you throw your traps on the ground, which are then triggered by enemies that step on them. You would obviously want to aim into monster packs while throwing traps or predict their movement in order to damage them. Positioning can be key in trapper builds and you should take advantage of that. Defensively, you should be killing monsters before they even have the chance to get to you. 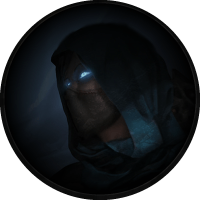 The Born in the Shadows ascendancy node will Blind all nearby enemies, which will improve your survivability by a great deal. A respectable life pool along with an effective Mind over Mater will let you tank most hits. Acrobatics and Phase Acrobatics both provide a good amount of dodge chance against attacks and spells. For Playstyle, keeping your distance and luring monsters into your traps is what the build is all about. You should save Lightning Spire Trap charges for tougher rare monsters and bosses, immobilizing them with Bear Trap and Shocking them with Vaal Lightning Trap, which will prove to be a great setup for tremendous single target damage output. Perfect Crime is the first step you should take in your ascension as, it will provide you with a decent amount of damage, along with the possibility for your traps to trigger an additional time. Chain Reaction will improve your single target damage potential by a good deal, since it allows a single foe to trigger multiple traps at the same time. Pyromaniac provides very handy elemental ailment immunities, great life sustain mechanic, and it also reduces the mana cost of your traps by a 25%. Born in the Shadows allows you to utilize the Blind aura your character gains via this ascendancy node. Blind essentially halves enemies’ Accuracy Rating, which reduces the chance you get hit by their attacks by a great deal. This is the endgame passive skill three of the build. As in most critical-based builds, we recommend investing into critical nodes after level 60. Before that, focus on picking up life and trap nodes. Major: All major Pantheon powers can be beneficial for the build, although Soul of Solaris is probably the best choice in general. To fully upgrade the Pantheon, capture The Gorgon in Sulphur Vents Map, Jorus, Sky’s Edge in Temple Map and The Infernal King in Caldera Map. In order to do that you need to have Divine Vessel in the Map Device while you are activating the particular map, then just kill the map boss and give the captured soul in the vessel to Sin in Oriath. Minor: Same as major Pantheons, all minor ones are useful for the build. We recommend Soul of Ryslatha for the better uptime of your life flask. Capture Gorulis, Will-Thief in Infested Valley Map to upgrade this minor pantheon. Vaal Lightning Trap is your main skill, which should ideally be used in a 6-Link. Lightning Spire Trap is mainly used in order to boost your single target damage by a great deal. Bear Trap is used purely for the utility; it helps you pin down a target, which will then be nuked by your damaging traps. For mobility, use Shield Charge and Flame Dash, or if you choose to play with two Daggers, use Whirling Blades instead of Shield Charge. Vaal Righteous Fire provides a big multiplier to your spell damage for a short duration, which is great when you need to boost your damage and nuke bosses fast. Vaal Lightning Trap shoots a nova of lightning projectiles when triggered. The vaal version of the skill leaves Shocked ground; keep in mind that your lightning traps have better chance to critically strike against Shocked enemies. Lightning Spire Trap is a powerful lightning trap with a cooldown, this is why it should be used wisely. Most of the time you would want to immobilize the enemy with Bear Trap, throw Vaal Lightning Trap for the Shocked ground, and then throw all the Lightning Spire Traps you have. This skill combo is very strong when encountering tough enemies. Shield Charge can be used all the time for extra mobility. The following link will give you the Fortify buff every time you hit an enemy with the skill. Vaal Righteous Fire can be activated right before your traps get triggered, this will give you a big boost to your damage for a short duration. Wrath can be used in Essence Worm in order to keep your mana pool non-reserved. Vaal Clarity will help out with mana issues. Flame Dash will improve your mobility even further. Bear Trap is a great utility addition to the build, this trap will help you keep your target in place. Capping your elemental resistances is essential and it should always be your top priority in any build; it should be the first thing you do when gearing up a character. Obtaining a 6-link, while very powerful and certainly recommended, can potentially be very expensive (requiring an average of 1500 Orbs of Fusing, obviously depending on your luck); as such, this should not really be a goal for you while gearing up, and you should instead settle for a 5-link until you have enough resources. The build is very budget-friendly and can be played as a league-starter. There are no mandatory unique items. Tinkerskin is a great addition to every trapper build. Essence Worm will help you keep your mana pool non-reserved, which is great when you consider that you are using Mind over Matter. Diamond flask is mandatory in every critical-based build; this is a good flask to have Curse or Freeze immunity on. Divine Life flask should used as Instant or half-Instant along with Bleeding Removal suffix. A mana flask can be utilized, since the build uses Mind over Matter, Lavianga's Spirit is a great endgame choice for this flask slot. Quicksilver flask can be used if you prefer to run around instead of using a mobility skill. For the last flask slot we recommend running a defensive utility flask like a Basalt, although you can go for even more offense with The Wise Oak (in that case, make sure your lightning resist is the highest). Make sure you have Bleeding, Curse and Freezing immunity on your flasks. There are no mandatory jewels for the build. Clear Mind can be used if your mana pool is non-reserved. Watcher's Eye with Wrath mods can provide a lot of power to the build, but can also get very expensive. The Lightning Trapper can be leveled by using traps since level 1, and it is a great choice for a league-starter. This is what your passive skill tree should look like before you start investing into critical strike nodes. For passive tree pathing, you should go for Expeditious Traps first, then head to Clever Construction. Once your traps are immune to damage you should pick Piercing Shots, which will allow you to drop the Pierce Support gem. Then you should pick Hasty Reconstructions and Acrobatics, along with some life. At that point you are ready to head to Mind over Matter. As you begin a new character, there are few unique items that can boost your power exponentially. Tabula Rasa allows you to have a 6-Linked skill as early as you get the gems. Wanderlust gives a decent movement speed, which will make your leveling that much more efficient. Goldrim provides a lot of elemental resistances, this will let you worry less about gearing when approaching certain Act encounters. Lifesprig will fill your damage needs early on. From level 1, you should use the following link in Lifesprig. At level 4, you should add Bear Trap for the additional utility. At level 8, your Explosive Trap link should look like this. At level 10, you should add Flame Dash for additional mobility. At level 12, you can finally transition to your signature skill. Replace Explosive Trap with the following Lightning Trap link. By level 16, your Lightning Trap should look like this. At level 24, you should add Wrath for additional damage. At level 28, you should add a Lightning Spire Trap gem setup, this will improve your single target damage by a great deal. No regeneration is a pain to do, and almost impossible to deal with when you need to kill a tough boss. If you like luring your enemies into their death, the Lightning Trapper Saboteur is definitely a build you should try out. The build has the survivability and damage to do endgame encounters.